Have you got a tinnitus compensation claim? Our experience pays. 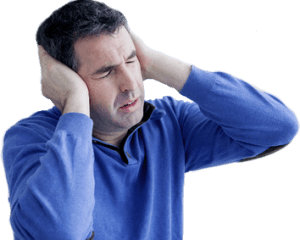 If you have developed tinnitus as a result of exposure to excessive noise (commonly in the workplace), you may have a legal right to file a tinnitus compensation claim. Tinnitus sufferers may experience a wide range of symptoms, which may vary in severity from a mild buzzing that is temporary to total hearing loss. The most common symptoms of tinnitus are a persistent high-pitched ringing, humming or buzzing sound in the ear. This may happen after a one-time exposure to a loud noise and usually fades away the next day or in a couple of days. However, regular exposure to high noise decibels can result in permanent tinnitus, and is often a form of industrial deafness. This unrelenting sound in the ear can have a serious impact on the sufferer’s quality of life. For one thing, it can impact a person’s ability to fall asleep and to stay asleep, making it difficult to function efficiently the next day. Tinnitus can have wide-ranging implications in every aspect of the individual’s life and can take a toll ona n individuals well being and on relationships. At its worst, regular exposure to loud noises can also cause significant or total loss of hearing. Noise induced hearing loss may or may not always be noticeable immediately. In some cases, the symptoms may develop immediately after sudden exposure to an unusually loud noise. In the case of persistent exposure to loud noise, the onset of tinnitus symptoms may not be immediately noticeable. The initial symptoms are so mild that workers typically think nothing of it. Another reason that workers dismiss the symptoms is because they tend to be sporadic. Unfortunately, with continued exposure to loud noise at work, the frequency of the symptoms can increase with time and so can the intensity. Employers are required by law to provide workers with personal protective equipment depending on the projected risks in that particular industry. In high noise workplaces, employers must provide all workers with adequate noise protection equipment. They must also train employers in the proper use of this equipment. Your employer can be held liable for your tinnitus condition if they either failed to provide you with the proper protection or failed to impart the proper training. Compensation for severe tinnitus and noise induced hearing loss, £23,670 – £36,310. Compensation for moderate tinnitus and noise induced hearing loss, or moderate to severe tinnitus alone, £11,890 – £23,670. Compensation for mild tinnitus and some noise induced hearing loss, £10,040 – £11,890. Compensation for slight/ occasional tinnitus and slight noise induced hearing loss, £5,870 – £10,040. Slight tinnitus without noise induced hearing loss could see compensation of up to £5,590. The statutory limit for filing most personal injury claims is 3 years. However, because tinnitus symptoms often manifest several years after the exposure, you will have 3 years from the date of your tinnitus diagnosis to make a claim for compensation. All companies in the UK are insured and it is the insurance company that settles all workers’ complaints that are related to workplace injuries, including industrial deafness and tinnitus claims. You will essentially be filing a claim against the insurance company and they are responsible for compensating you for your work-related tinnitus. Even if a company has ceased trading it may still be possible to file a tinnitus compensation claim. Out of pocket expenses such as the cost of consultations with an expert and the cost of any corrective treatment or ongoing treatments. Cost of travelling to and from the hospital or clinic for treatment related to your tinnitus. Loss of earnings if your tinnitus symptoms forced you to take a long break from work or it they made it impossible to continue working. Loss of amenity if your hearing loss prevented you from participating in hobbies and other activities that you indulged in prior to the tinnitus. Most reputed personal injury solicitors who deal with tinnitus claims offer a no-cost, no-obligation consultation. Through this consultation you will be asked relevant questions about your tinnitus, what you think has caused it and why, and what evidence you might have thus far in order to determine whether or not you have a strong case worth pursuing. If you have a strong case, they will advise you to proceed with your tinnitus claim. Some solicitors may differ but in most cases you would be offered to claim on a No Win No Fee basis. Essentially, our No Win No Fee agreement means that you do not have to pay anything if your tinnitus claim is not successful. You only pay if your claim is successful and you are awarded compensation. The total amount you would pay is a set percentage of your tinnitus compensation settlement. This ensures that you are never out of pocket at any time during the proceedings. If you have any concerns or questions regarding a tinnitus compensation claim please contact us and a solicitor will be happy to assist.